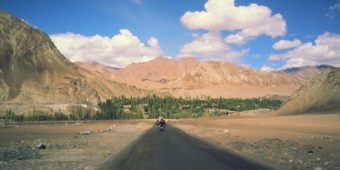 A unique motorbike trip on the most beautiful Himalayan roads, and across the most jaw-dropping mountain passes, for a fabulous round-up of Ladakh’s wonders and treasures. 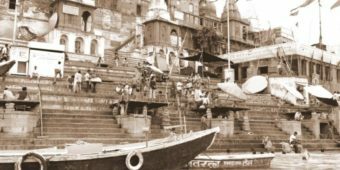 An intrepid all-rounder, she has cruised India’s roads with many groups, and knows the country like the back of her leather-gloved hand. 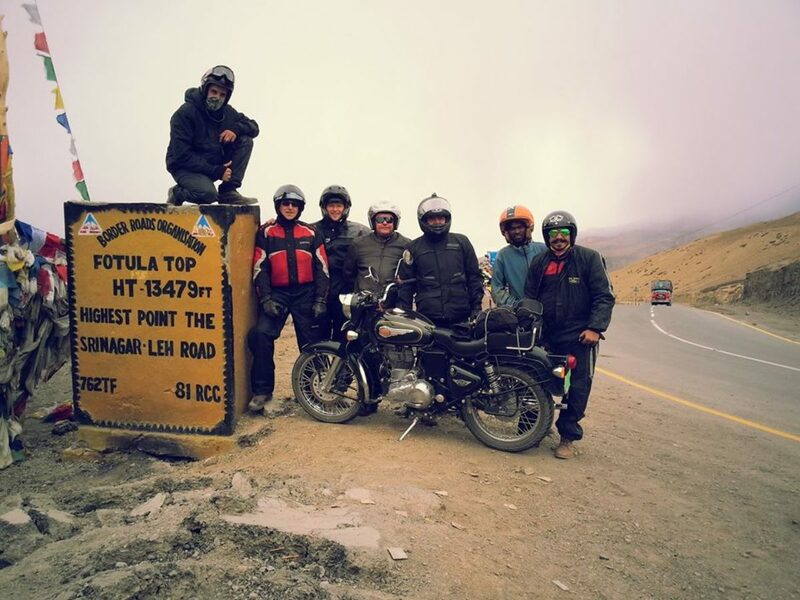 Climb new heights on this original motorcycle tour! 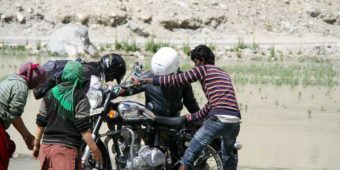 Less perilous than the Trans-Himalayan, this adventure is accessible to those travelling in duos. 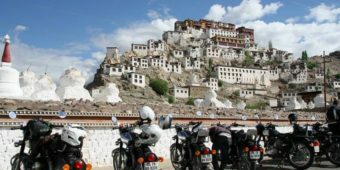 Your steeds await you in Leh, for a discovery of Ladakh in all its diversity. 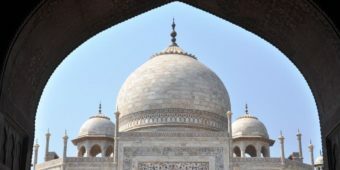 Explore the fertile Indus Valley and its magnificent Buddhist monasteries. 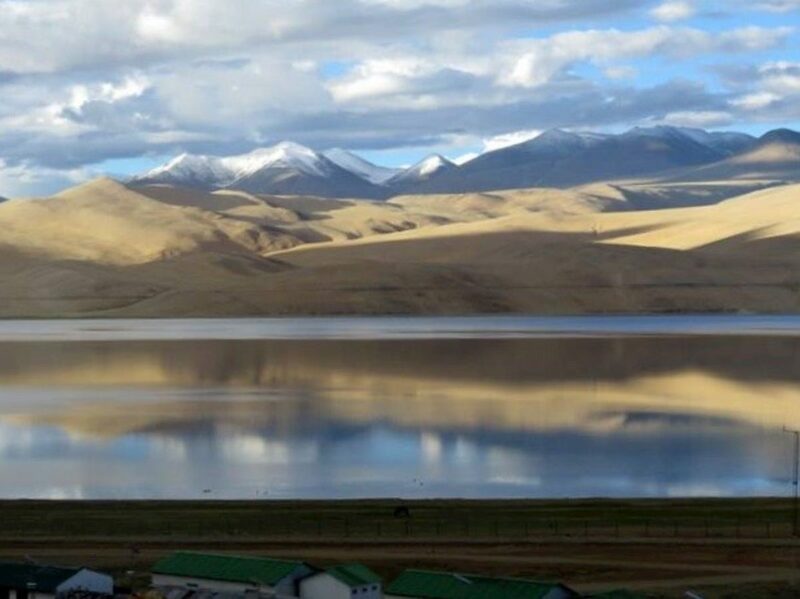 Climb up to deep-blue Pangong Tso Lake, a natural border with neighbouring Tibet. 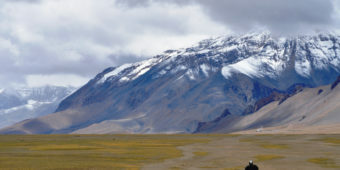 Once back from the superb Nubra Valley, you’ll reach the highest point of your journey: Khardung La (5,602m/18,379ft). 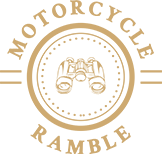 If you like rocky trails, staggering scenery and engaging encounters, this intense Himalayan motorcycle trip is for you! You’re met at the airport and transferred to a hotel in central Delhi. You can spend the rest of the day as you wish. We set off for Delhi airport for a domestic flight to Leh. 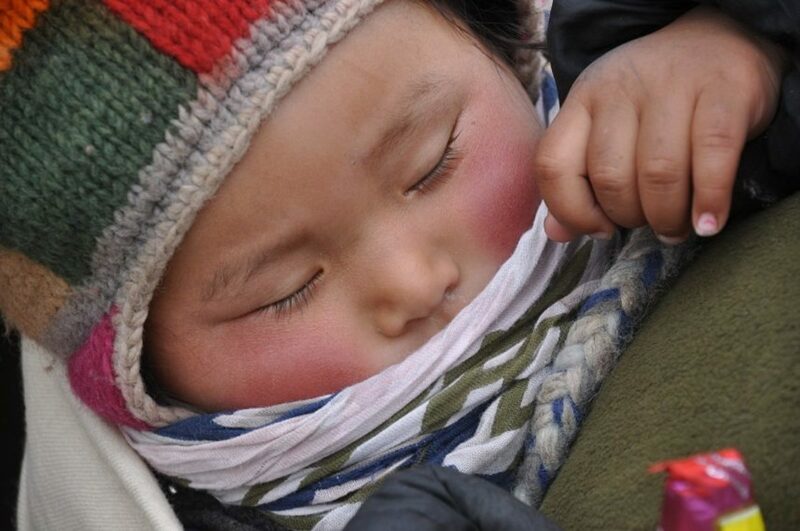 Spend the day in the capital of Ladakh. The fitter members of the group can go for a walk around, while others are recommended to rest and adjust to the high altitude. 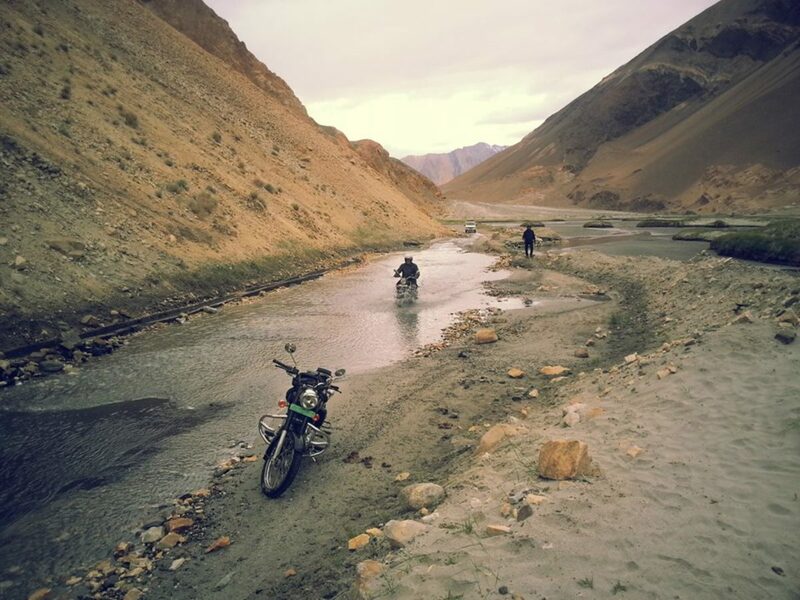 We start from Leh in the morning, leaving for the Indus gorges in the west. We take the road towards Kargil, heading for Kashmir. We reach Lamayuru monastery perched atop a cliff. 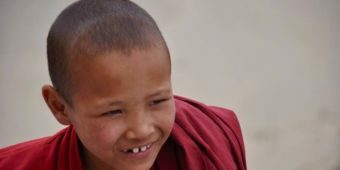 It is perhaps one of the most prestigious and oldest Tibetan gompas in Ladakh, where around 200 monks and lamas live. 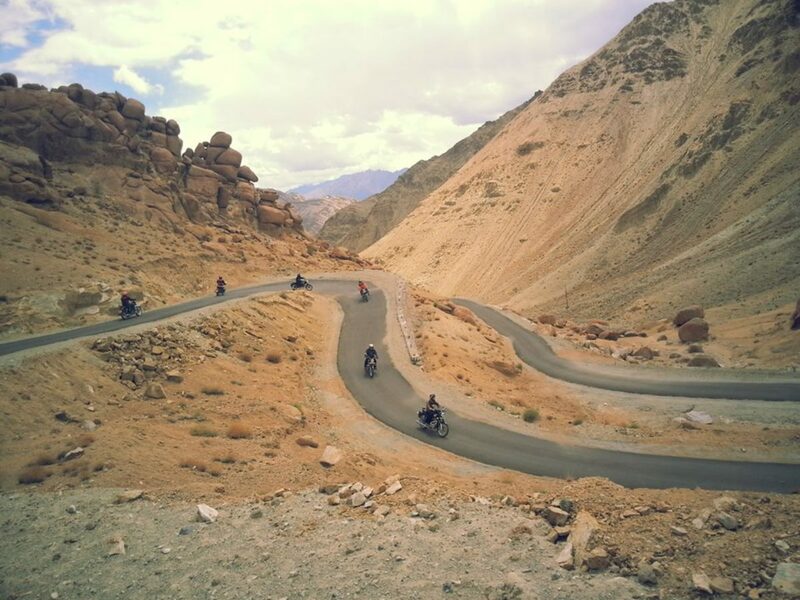 We take our bikes on several roads to Leh. On this stretch of the tour, we can admire and visit several remarkable monasteries, such as Likir or the amazing Phyang monastery with its 900-year-old museum. 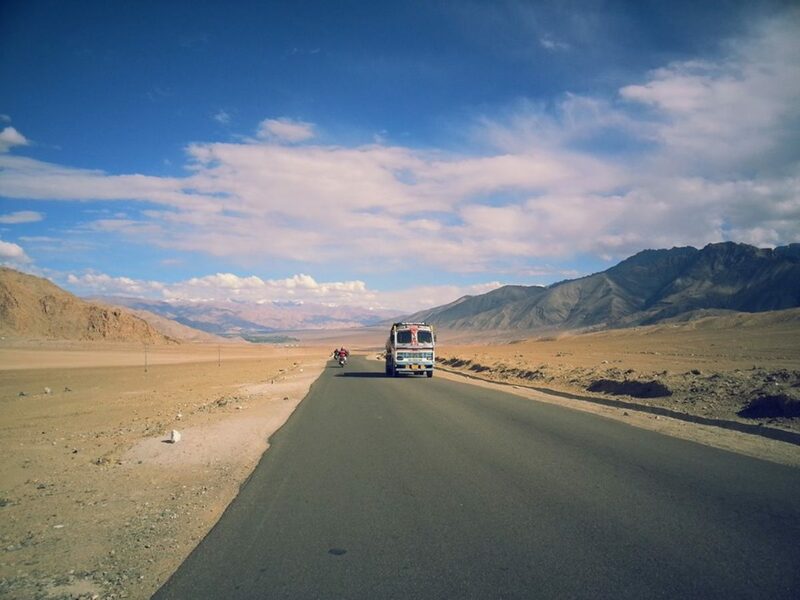 We return to Leh, where we can spend the rest of the day at our leisure. 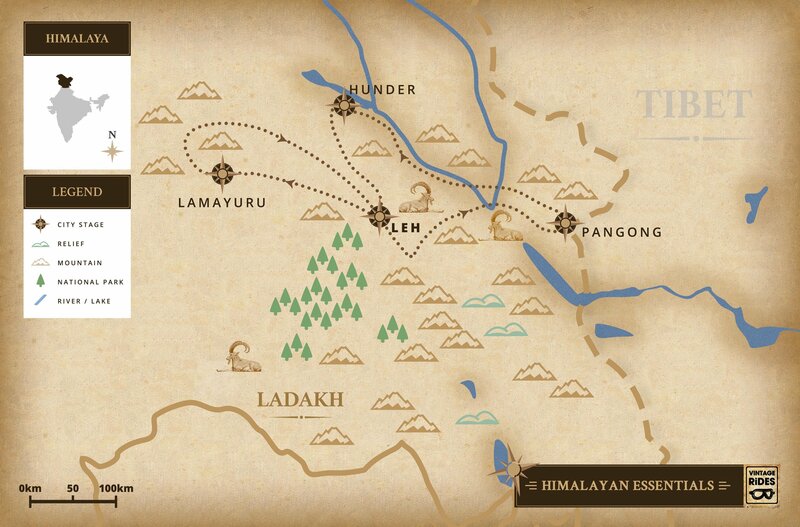 We leave early and head east towards the Chinese border. 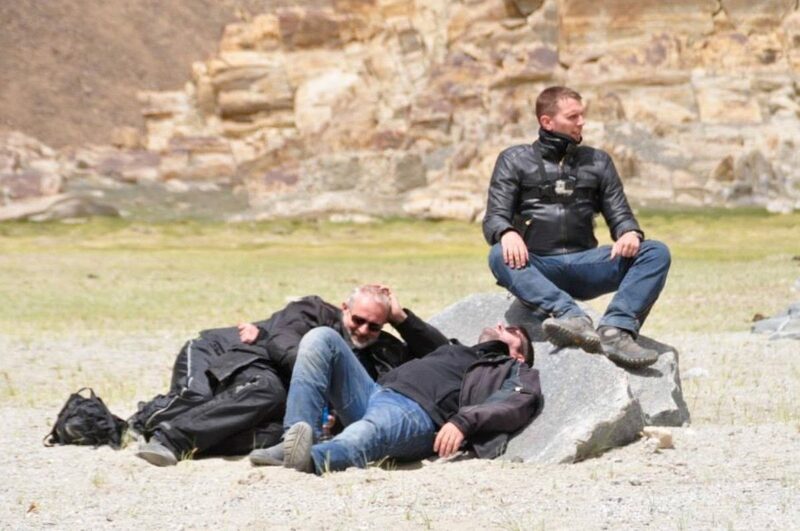 After visiting Chemrey monastery, we start driving up to Chang La pass at 5,300 m. We then ride down on the other side to the 83-mile long Pangong Lake, a natural boundary between India and China. We make another early start. 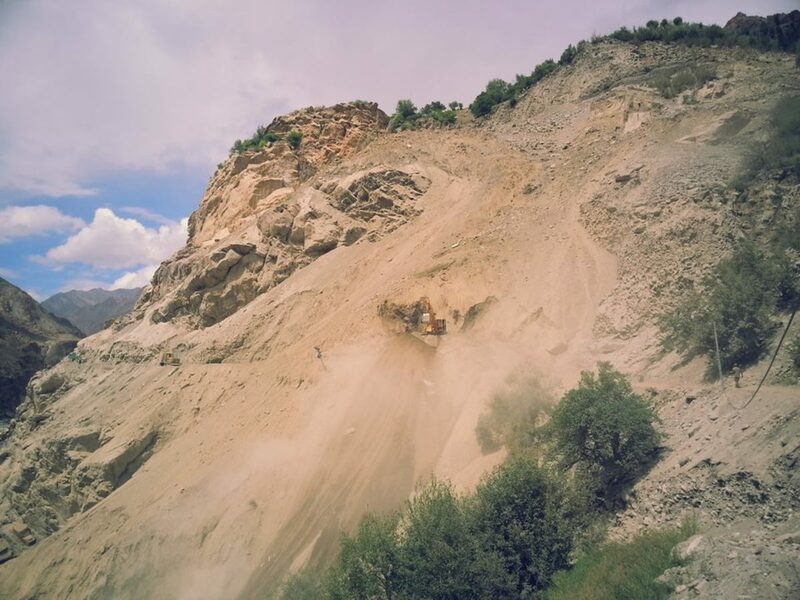 We take a small, good condition asphalt road along the Shyok river. We stop for a picnic on the riverbank, then we keep riding towards Hunder along winding mountain roads with the imposing Karakoram mountain range on the horizon. Our last riding day! 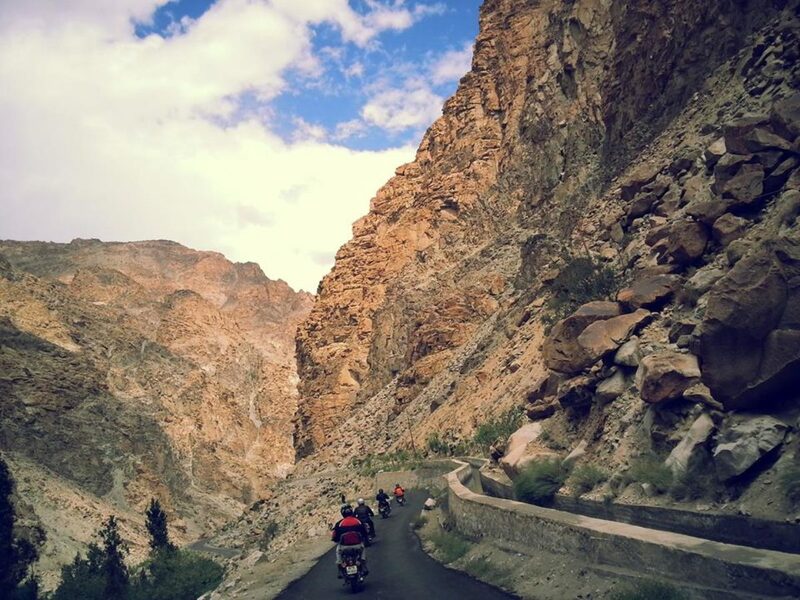 After visiting Hunder’s sand dunes, we head south towards Khardung La, the highest road in the world. 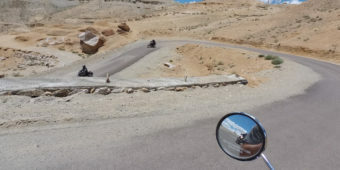 We enjoy the view over Leh and start our descent down the zigzag roads for the last 25 miles. 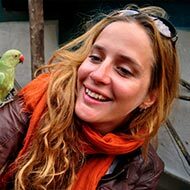 Today is a free day in Leh (a buffer day just in case!). 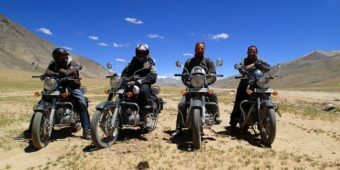 You can either take the motorbike on an outing to Stok Palace, visit Shanti Stupa or even purchase some Ladakhi souvenirs. You have an early morning transfer to Leh airport for a domestic flight to Delhi. You’ll then be transferred to your hotel. 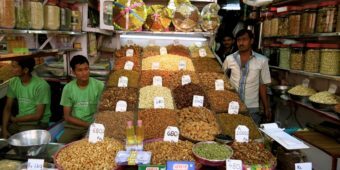 Enjoy a free afternoon in Delhi. Free day in Delhi. You can use your hotel room until 10am. 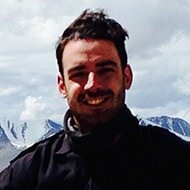 Transfer to the airport based on your flight-departure time.